Air Italy has been growing at a rapid pace this year. Ben flew them from New York to Milan and was extremely impressed, noting the service was almost too good for the relatively short flight length. With Qatar Airways’ investment they have been growing their route network and one of their long haul destinations is to Bangkok, which their main competitor Alitalia does not fly to. I’ve been meaning to write about these fares for a few days now, but I’m currently travelling through some remote parts of Morocco, with very unreliable wifi, but haven’t had a chance to yet. Right now Air Italy has incredible business class fares from various Italian cities to Bangkok for under EUR1000 return (USD$1,150). They are available from multiple Air Italy Italian destinations like Rome and Catania, routing via Milan, but as they are also available as a direct flight from Milan for the same place, and Milan is a very easy and cheap European city to position to, so I’ll focus on the direct flights as I think they offer the best value. The fares are available on AirItaly.com for travel from November 2018 to March 2019, with departures on Sundays, Mondays and Saturdays having the best prices. Google Flights shows higher prices but click through to AirItaly.com for the lower price. The flights are operated by Air Italy’s A330s which feature 2-2-2 seating on a slight angle. You can earn Avios for these flights (at least 8,000 in each direction). 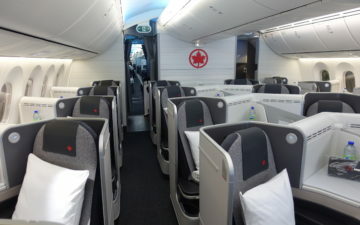 Ben noted that he slept well on the fairly short overnight flight from New York in these same seats and as someone sensitive to angled flat seats, didn’t find the angle a problem. 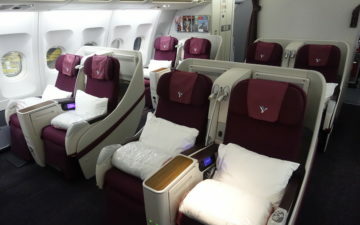 I’m actually very tempted to book this as its almost unheard of to see business class fares between Europe and Asia at under EUR1000 per person, and I’m very curious to see what the Air Italy soft product is like, as I love the Qatar business class service. What I’m hesitating about is the seat. I know Air Italy will get newer planes with better seats but a 2-2-2 seating with angled flat seats in 2018 really isn’t acceptable. But having a direct flight sure if tempting. These fares are available until October 30 if you are interesting in booking. Are you keen to try Air Italy business class? James: what mileage currencies (and surcharges) can be redeemed for Italy to bangkok, and how is the award availability situation? @Flyingfish: Geez that question would take years to answer. Pretty much every currency would theoretically be able to book Italy-Asia. Award availability will vary. Have you done any research on your own? From Qatar’s perspective does MXP to BKK (and even more so MXP to Delhi and Mumbai starting in December) make sense for Qatar? Won’t these routes take away potential customers from Qatar and potentially catabolize their sales from Milan? The other routes from NYC, Miami and Euro destinations to Milan really don’t seem to take away from Qatar’s pie, but these seem like it could be in direct competition. Oh and yea, $1000 round trip business ticket from Milan to BKK seems like a no brainer. Go for it! Italians are used to connecting flights at major european or Gulf hubs as Alitalia isn’t as big as it once was. There’s a market for non-stop flights especially from a region like Milan which is the richest in Italy. Either way, QR stands to make cash from those prefering non-stops as they pretty own the airline. Can you credit Air Italy flights to BA, CX or AA? They are not a member yet of course but do they have any formal association with OW yet? @ Kerry, others – I believe Avios is the only currency you can earn and redeem for Air Italy. 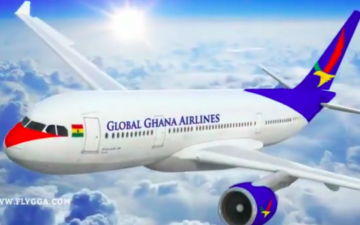 I would expect them to join Oneworld within a few years. It seems you can credit miles to BA but only up to 100pct flown miles (even in business) and no tier points. 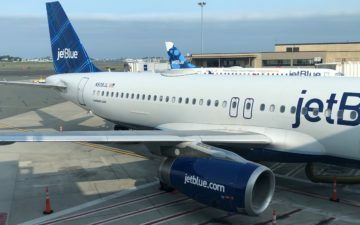 It’s a sharp fare but for an angled seat, with no tier points earned on a useful alliance, think I would hold out for a cheap fare on a larger carrier. @Stu – “mileage currencies”. every? Sometimes I angle my fully flat seat slightly in F and J. Can be a touch more comfortable. If those are the old Qatar A330 seats do NOT do it. Those seats are impossible to sleep in. Not only angled but the middle part of your body is pushed up in a very vulgar manner. Extremely uncomfortable. I fly BKK-Europe several times a year but would not even fly this seat for free. Did it once when Qatar still used them, NEVER again. Any hope Air Italy will open up routes to the West Coast?